Home Unlabelled How to Ripen your Tomatoes in Autumn. How to Ripen your Tomatoes in Autumn. 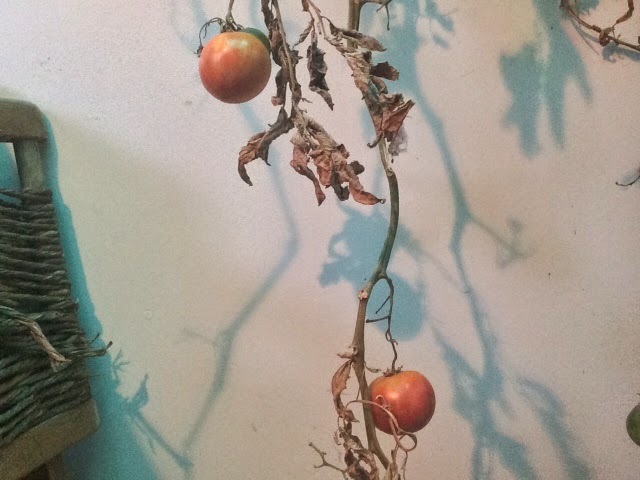 So, if your tomatoes were anything like mine, they stopped ripening as soon as we had our first dew (the 27th of February in my backyard), or as soon as the sun said "It's been 7 weeks since the longest day." 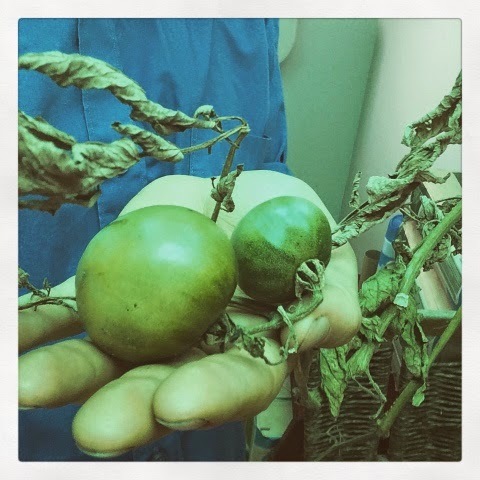 Still with a good 20-odd tomatoes left to savour, sitting dormant and green on my vines, I came across a strange trick to ripen them on the Milkwood Permaculture website. The trick was: Pull out the tomatoes, and hang them upside down; then, the tomatoes should ripen. Slightly sceptical (and with housemates passing me odd looks), I did what I was told, and hung them over our indoor clothesline in our toilet. (photo 1). I have tomatoes that are just about ready to eat. (photo 2) I am pretty impressed to say the least, and the housemates have gotten used to them. 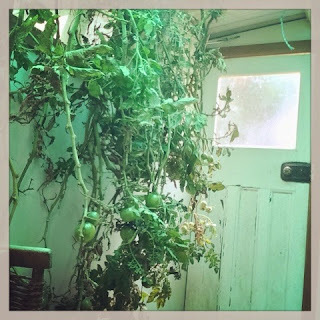 You can read Milkwood Permaculture's full blog post here. They are full of good suggestion as to what you can do with your green tomatoes, and have lovely pictures to go with them.